Pruning is a necessary part of tree care and maintenance; whether it’s used to remove dangerous or defective branches, to regulate the size and shape of a tree or to leave the tree in a generally safe condition. Particular care must be taken when tree pruning, as improper pruning can lead to diseases and/or tree failure. 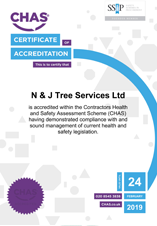 N & J Tree Services Ltd carry out all pruning operations to BS 3998 standards. The selective branch removal of smaller diameter branches (usually at the outer crown) to produce an evenly spaced branch structure and a uniform density of foliage, without altering the overall size or shape of the tree. Crown thinning can provide adequate framework for a possible future crown reduction if required. The removal of the lowest branches and/or preparing of lower branches for future removal to achieve a desired vertical clearance above ground level. Crown lifting should not result in the removal of more than 15% of the live crown height, and shortening primary branches is preferable to whole removal in mature trees. Removing large branches growing directly from the trunk can cause large wounds, resulting in decay or biomechanical instability. The reduction in height or spread of the crown of a tree. The result should retain the main framework of the crown, leaving healthy small-diameter branches and twigs. The removal of a tree through straight felling or sectional dismantling. Removal of a tree using straight felling (removal of the tree in one piece) should only be used when there is no significant risk of damage to the general public, property or protected species. 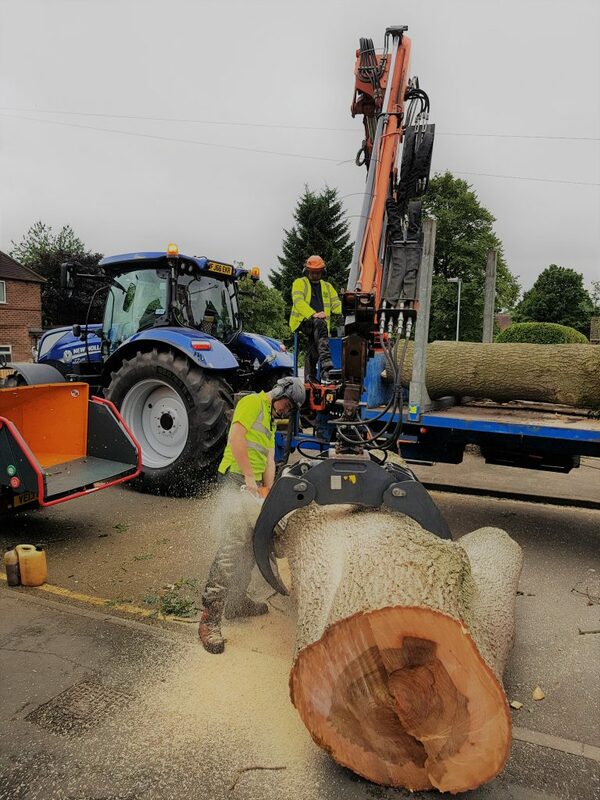 Sectional dismantling(removal of the tree in sections using specialist ropes, equipment and machinery) is often more suitable for sensitive or challenging areas.